Noelle and Eli Hueston deal with their grief and lose their relationship in the process. An accident causes her to lose all memories of the last 25 years. She struggles to relate to the man and the children that say she's their wife and mother. Eli sees this as an opportunity to repair their marriage and be the kind of husband Noelle needs. As she discovers pieces of the past, will it destroy their new beginning or will they deal with the problems the right way - together? 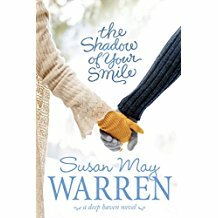 Susan May Warren once again nails the story. She's not one to offer platitudes or gloss over problems. The situations are real-life, and I could relate to the characters' struggles. This is a Deep Haven novel and well worth your time and money. 5 Stars! Disclaimer: Neither the author nor the publisher paid me for a favorable review. All opinions expressed are mine and mine alone. Writers: Do you tackle difficult relationship issues in your writing? Please share. Readers: What is your opinion of Christian Fiction? Do you relate to the various themes? Please share.